Project management includes planning, organizing, monitoring, controlling, reporting and corrective actions needed for all the project processes in order to achieve project objectives, continuously. The management of any project includes a set of principles, practices and techniques used to lead the project’s working team and to control time, cost and risk, in order to produce the desired result. 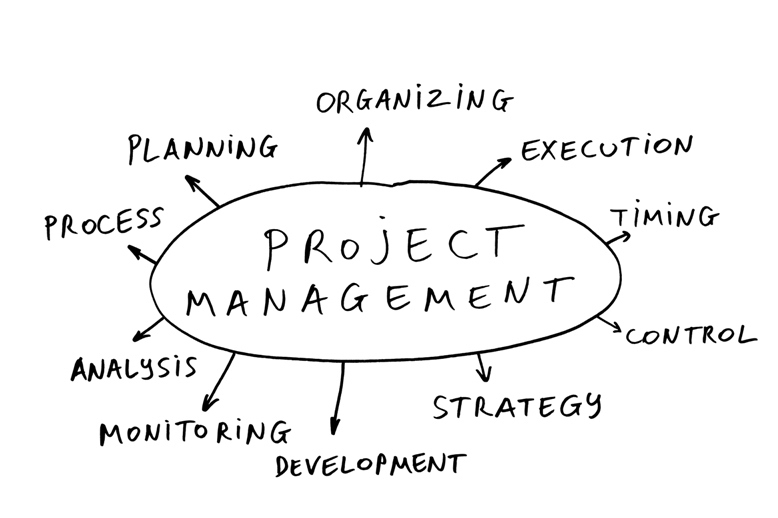 Project Management (PM) is the methodical approach of the planning and guiding project processes from start to finish. PM is widely used to control complex processes of development projects. - Monitoring staff and building sites control. Depending on the contract, the Project Management team is obliged to implement the contracted project, presenting weekly reports of the work to the Beneficiary, establishing directive and executive sessions with the participation of the beneficiaries and the general contractor. Draws, with the beneficiary, reserve lists for companies that are not on work schedule and must be replaced. Prepares final reports and closes the project.